There is a free bus service during the day to take you up and down Krana Hill to the main square of Lindos. The local bus no longer stops in the main square so if you want to catch the bus for Rhodes town or other destinations, you can also use this free bus service to take you to the top of the hill. The local buses stop at the top of the hill just by the coach-car park. Timetables can be found in the information kiosk in the main square and also at the bus information kiosk at the top. The price of a single to Rhodes Town is €5.50. There is a taxi station in Lindos at the main square. Taxis are metered but as a guide you'll find a board at the taxi rank with a current price list for major destinations. A taxi to Rhodes Town or the airport currently costs €75.00. 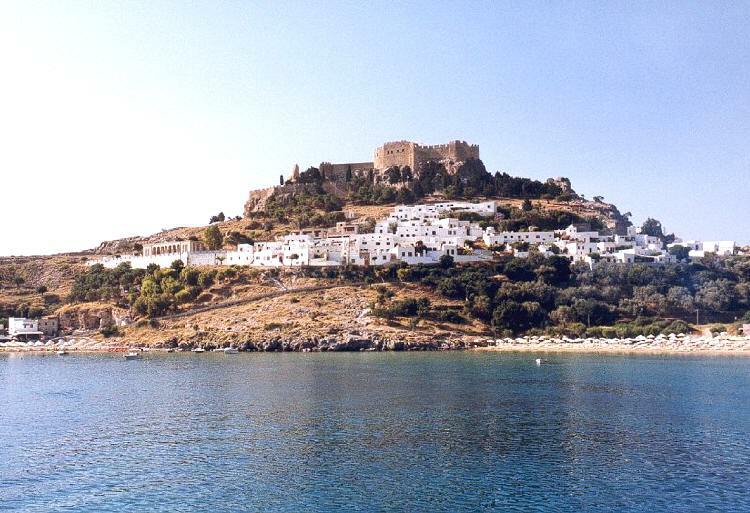 One of the best ways to explore the island, you will find several companies offering car hire in Lindos. Villa Galini, sets in a privately owned land of 5.000 sq. 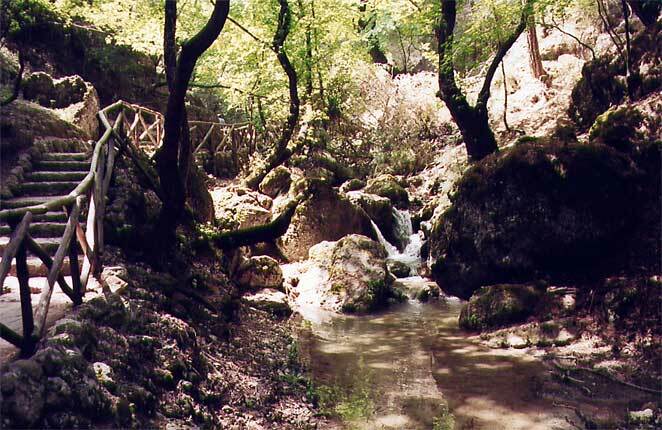 meters, is located in the middle-east of the island of Rhodes. 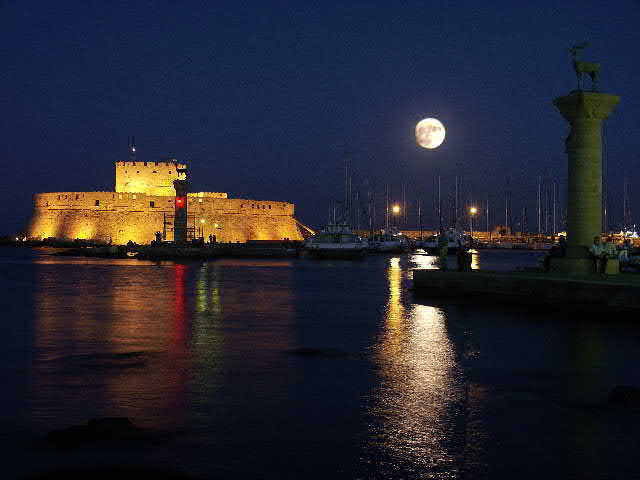 It is half way to both edges of the island, the historical center of Rhodes and Prassonisi. 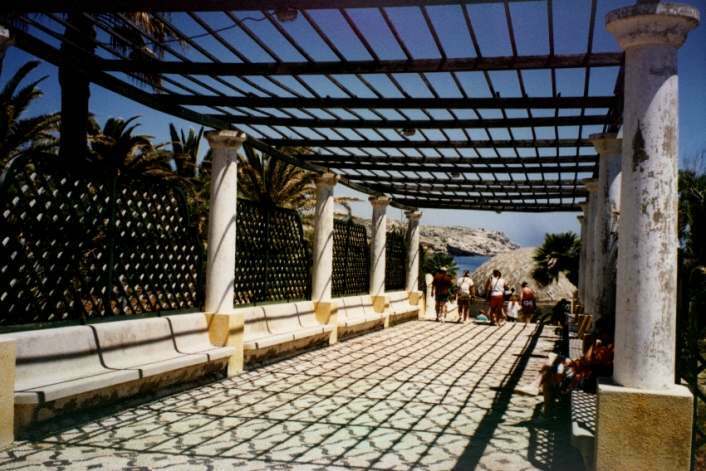 That makes it an ideal location in order to have a complete tour around the whole island. The most important of all is that Villa Galini is situated in Lindos, one of the most picturesque, romantic and beautiful historic places in Europe. 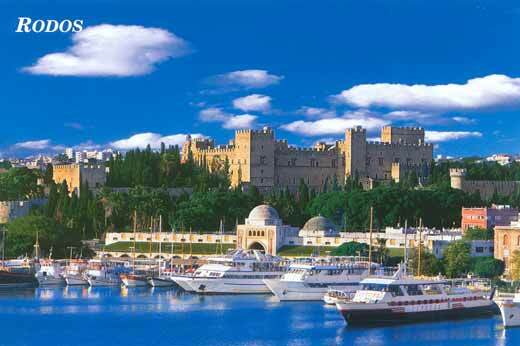 Among its benefits it combines also sea, ancient acropolis and many traditional white houses around the castle. 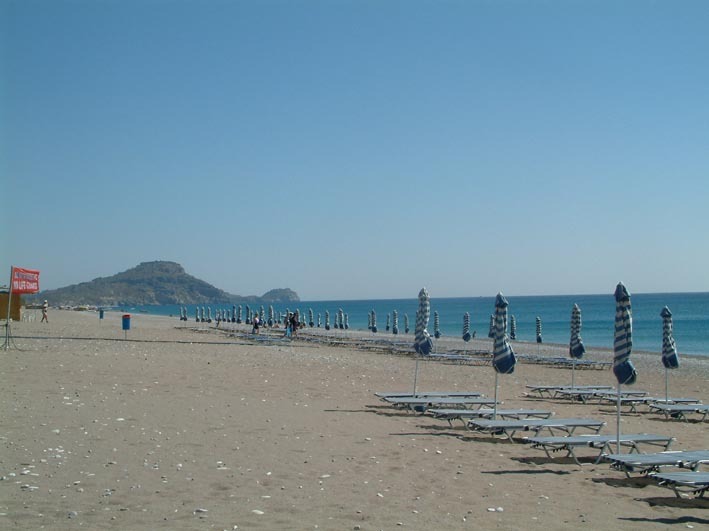 The villa is less than 100 meters from the main beach of Lindos, so you are "one step" away from a beautiful sandy beach and only 5 minutes walk from the center of the village. 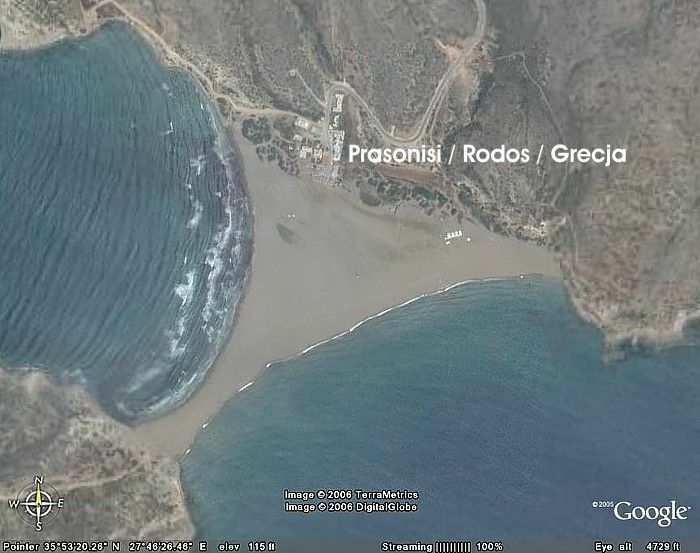 The airport of Rhodes (Diagoras) is located at an area named "Paradisi". In order to reach the Villa beginning from the airport (assuming that you have rent a car or motorbike), try to attend the following instructions. As soon as you exit the airport, turn left on the main road that you will meet. As soon as you find the first conjunction with traffic lights, you will see a sign which points the way to Faliraki and Lindos on your right hand. Follow this direction all the way straight and keep your eyes on the signs. The last village you will meet before Lindos is Kalathos. Go pass that village, and after 2-3 km, you will arrive in Lindos. 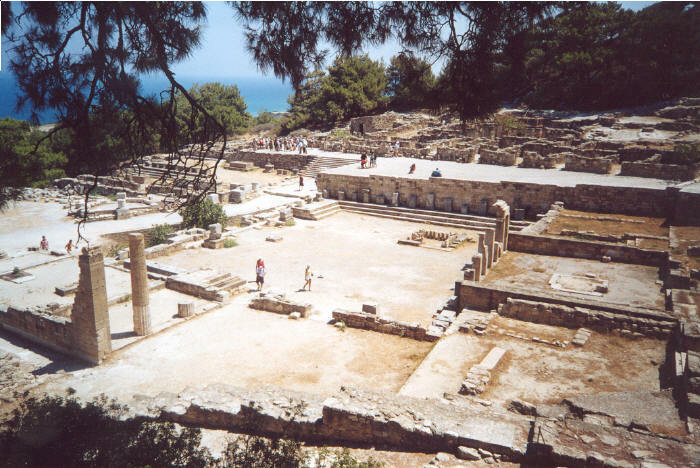 Turn left, on the steep road and after few meters you will arrive at the main square of Lindos (center of Lindos). 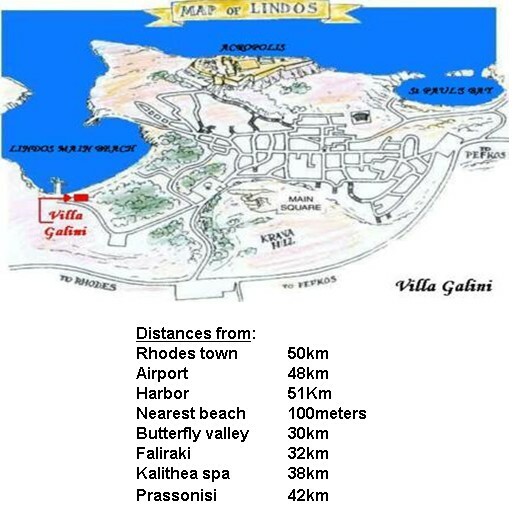 Finally you must follow the direction to the main beach of Lindos and you will meet the Villa on your right hand (opposite to ''Triton'' and next to ''Nefeli'' restaurant). 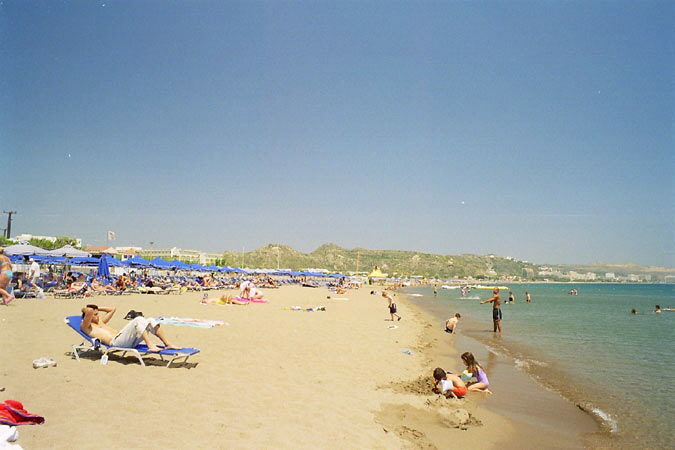 Otherwise, you can take a taxi at this address: Lindos village, on the road that leads to the main beach. 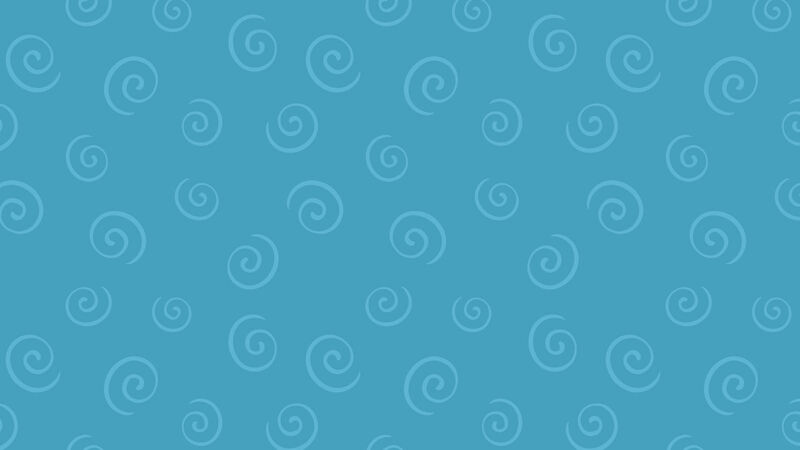 On your right hand and opposite to ''Triton'' and next to ''Nefeli'' restaurant. 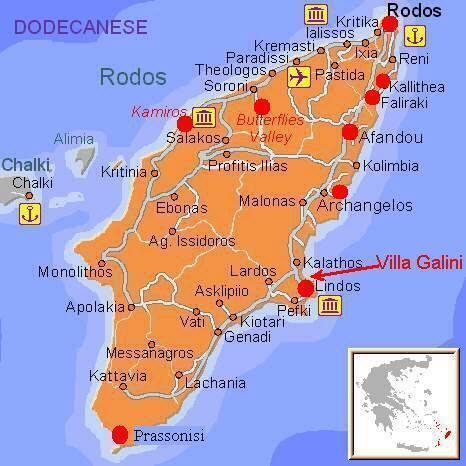 The coordinates of Villa Galini Lindos are: longitude 28.08466E, latitude 36.09517N. 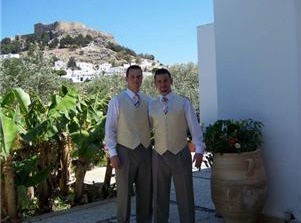 We are very proud that many couples have chosen our villa to perform their wedding ceremony!